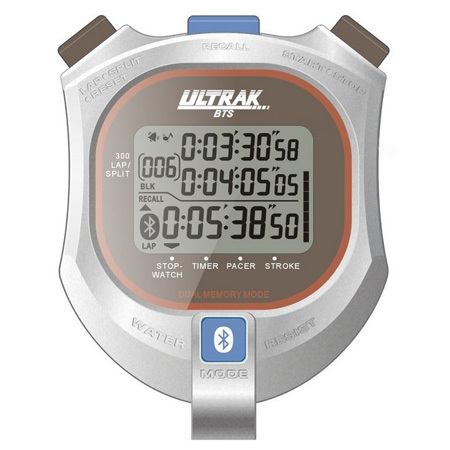 The brand new Ultrak BTS is the world's first Bluetooth stopwatch with the ability to connect to your smartphone! Our innovative and one-of-a-kind timer allows users to quickly and easily transfer timing records from their stopwatch directly to a free app available in the Apple App Store (iOS) or Google Play Store (Android). 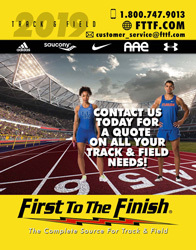 From the app, records can be organized by event or athlete and transferred to other coaches, officials and athletes as a CSV file. The stopwatch also features a countdown timer, pacer, stroke frequency and a full automated calendar. » Countdown timer with repeat function and timing range of up to 9 hours, 59 minute, 59 second. Indicates that item is available through Ultrak.